Slip on a tried and true must have. 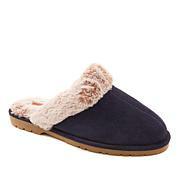 This slipper says everything you love in a seasonal find: trendsetting chic. Add it to cropped denim an your favorite trousers and dresses. Ordered several for friends & family!True to size & very comfortable Great colors & bling! 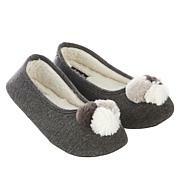 These are just the cutest slippers ever. They fit well and are so soft inside, I got the navy penguins. I have problems with my heels. These shoes are very thick and I less pain. I purchased 3 pairs. Love them. I ordered the slate color which are the penguins, dark periwinkle color and fabric looks like velvet. They are embroidered so beautifully, the inside is soft and warm. Hard bottom with ridges. They are worth every penny of the sale price. I may buy an extra pair for later. 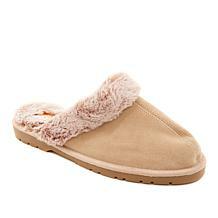 They are perfect for our CA weather, seems like we are finally getting our Winter! The style and design was perfect. 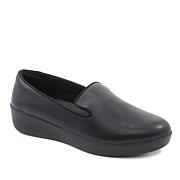 True to size and very comfortable fit. I love the non slip bottom and the way the slipper is designed my feet stay warm and I make a fashion statement every time I put them on. I purchased at least 8 pairs because of the affordable price . I loved the festive prints. Good job Wendy.